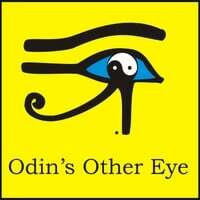 Founded in 2007, Odin's Other Eye combines elements of Norse Mythos with modern day dilemmas. This is very accessible, original rock, inspired by Marc's 16% Norwegian heritage. The songs were written over a span of time (2007 through 2011) and eventually recorded in 2012, just shy of the end of the Mayan calendar. Track 1, Bury Me Alive is a graveyard ditty, oft played near Hallow's Eve. Track 2, Nine Worlds relates a battle betwixt ID, Ego and Supra-Ego. Track 3, Balder's Dream is a tale of near-death experience and Christ-consciousness. Track 4, Thought & Memory tells much of Odin's personal challenges, including his sacrifice for humankind, impaled upon a tree. Track 5, Let It Out is based upon the hidden Gospel of Thomas: "Whatever ye keep hidden shall destroy ye; whatever ye bring forth shall surely save thee." Track 6, Long Way To Go is a final ballad/rocker about how little we have learned and seem to unlearn every day. Odin's eye is the sun...Odin's Other Eye is that auspicious orb that reflects upon the sun, also known as the moon. But Odin's Other Eye is also a symbol of sacrifice in exchange for wisdom. As the story goes, the Allfather, Odin wanted to become the wisest of all beings. In his world, there was a well of wisdom (humankind's long-term Memory), but it was guarded by the giant, Mimer (or the Rememberer). Odin beseeched Mimir for a drink...and there was a grave cost. Odin was asked to pluck out his right eye and did so very willingly.